WOW! that’s crazy, you completly turn this bike around. 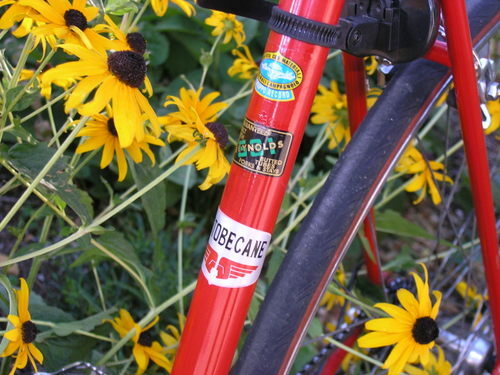 These are some of the finest bikes from back in the day, and still hold true now. I also have grand record, and was wondering if you could give me a couple of tips. I’ve seen your older post, so i now you’ve built it up from square one. 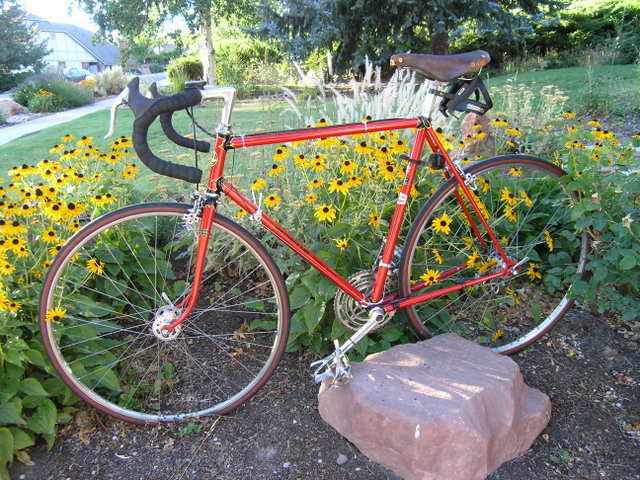 this is my first ‘real’ bike, so i don’t really know too much, but i’ve been learning quickly. mainly i was wondering what brake system you’ve installed and if you could lace the old normandy hubs to some bright velocity deep-v rims? I used the dia compe brakes that I had for it from years ago. I think these replaced the center pulls that came with the bike. My best suggestion is to have the bike powder coated, which will include sandblasting, and cost less than $100. It beats sanding, and is way more durable than a spray paint job. I don’t know about the lacing of the hubs and rims, but I bet a bike shop could do that for you. thank you for all your help. again job well done. sorry but i still had a couple of questions, did you paint the the lugs with something like automotive spray paint? do you remember what model the the dia compe brake set are? and one last one. did you make any changes in the chainring or the freewheel? is everything else original? I found out that professional painters use a special kind of paint for detail jobs like that, and I got a small quantity from a paint store, like a quarter cup. It was called something like Quick Fix, or something like that. where did you find the decals? Where did your find the decals? I have been looking for while and I can’t find any. Any ideas? I found a site that sells decals and decal replicas. 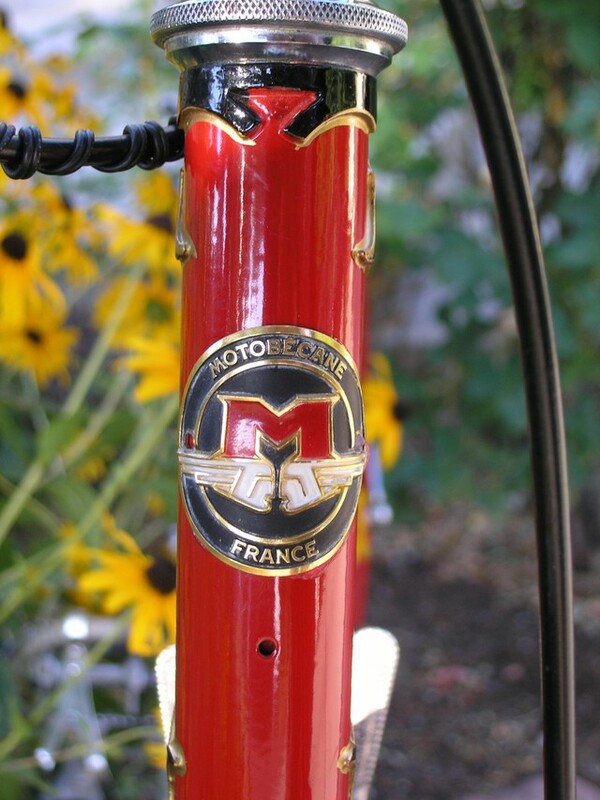 I think I found the company on ebay, then went to their home page and found the motobecane decals. They were something like $25 to $30, a little pricey, but there were no alternatives. Good luck with your project.